Delta Dialogues » Why Delta Dialogues? Every generation must grapple with the key issues of its day, and in California, few issues are more fundamental for its citizens than a reliable, clean, and safe water supply. Yet to focus simply on water supply is not enough for Californians, who also have a well-developed sense of environmental stewardship and deep appreciation for its history that can be exemplified by family farms. These three elements converge in the physical and rhetorical center of water policy — the Sacramento-San Joaquin Delta. The Delta is at the heart of California’s water disputes, yet it’s unknown by many of those who rely on what it provides, and those who live within its boundaries are under-represented in policy discussion. For more than 50 years, water has flowed through the Delta into Southern California and naturally out into the bay and ocean. Leaders have battled over the priority of where the water should flow, following a pattern of win-lose politics for control of this natural resource. The problem is that no one is winning, and California is on the brink of losing one of the most unique regions on the west coast of America. In the early 1970s, Horst Rittel, a professor at UC Berkeley who was studying failures in public policy, coined the term, “wicked problems.” Wicked problems are so complex they cannot be understood at any level of completeness or rigor. There are no “correct” solutions to wicked problems, because there is no way of knowing what’s correct. Wicked problems are moving targets, where any attempt at solving them results in completely new formulations of the problem. If you looked up the definition of “wicked problems” in the dictionary, you might find the Delta listed as Exhibit A. What we’ve learned over the years is that the path to successfully managing wicked problems starts with developing shared understanding among a representative set of stakeholders. Developing shared understanding is not negotiation, nor is it consensus-building. Developing shared understanding is a process of authentic, deep listening, where the goal is not to persuade or to debate, but to understand. This dialogue represents new leadership skills for those involved in California water policy, skills that can change the face of water policy negotiations. 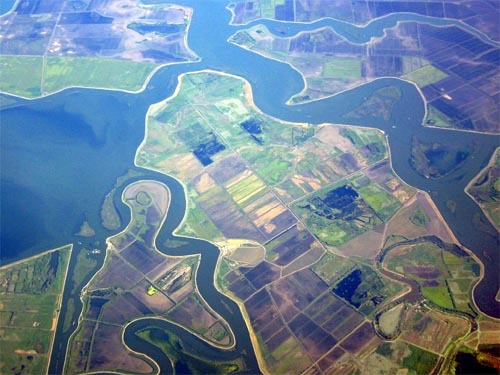 The Delta Conservancy’s issue-based dialogue allows traditional stakeholders (water purveyors, state and federal agencies), in-Delta residents (farmers, local governments), and other non-governmental organizations (recreational associations, environmental organizations) to talk about what really matters to them. Clearly, something special happened in these meetings. We believe that this process combined with a diverse, open-minded set of stakeholders enables groups to have conversations that are much more fruitful than the norm. The participants in these meetings seemed to have recognized that as well. We are excited to continue to explore this potential and to share the story of our progress here.